Naturewatch Foundation is calling on supporters to submit a response to Natural England’s consultation about their plans to introduce a fee when applying for a licence to disturb or remove a badger sett. Currently wildlife licences can be applied for from Natural England free of charge. We are concerned that introducing a levy may deter developers, surveyors, and individuals from taking the legal route and instead unlawfully disturb or remove setts. Submit as an ‘individual’, you will be prompted to tick this option in QUESTION 3. 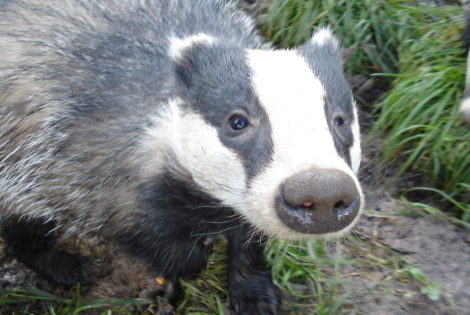 I am concerned that introducing a licence fee for CL35 and A24 may increase badger crime. Badger sett interference, which includes the damage or destruction of a badger sett or the disturbance of a badger whilst in its sett, lie heavily in the badger incident statistics, and these are areas where many developers, surveyors, and individuals including householders, flout the law to avoid delay and potential expense. Financial levies could increase the chance and decision to avoid the legal approach and, in turn, increase wildlife crime. Within Natural England’s document entitled ‘Class & individual licences, proposed fees and exemptions’, there was no indication of whether the licence issued to Police Wildlife Crime Officers to investigate offences will be levied. A levy to examine badger setts by a Natural England ecologist or a Police Wildlife Crime Officer would be a detrimental step, particularly given the current financial restraints and cut backs in both Natural England and the Police service. QUESTION 9 & 10 do not affect potential risk to badger crime and can go unanswered if you wish. Simply click ‘continue’ until you reach the last page, and then click ‘Submit Response’. Consultation closes on 5th February 2018.